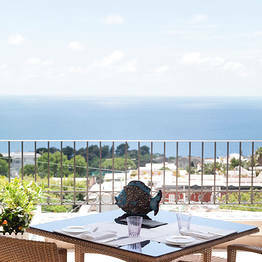 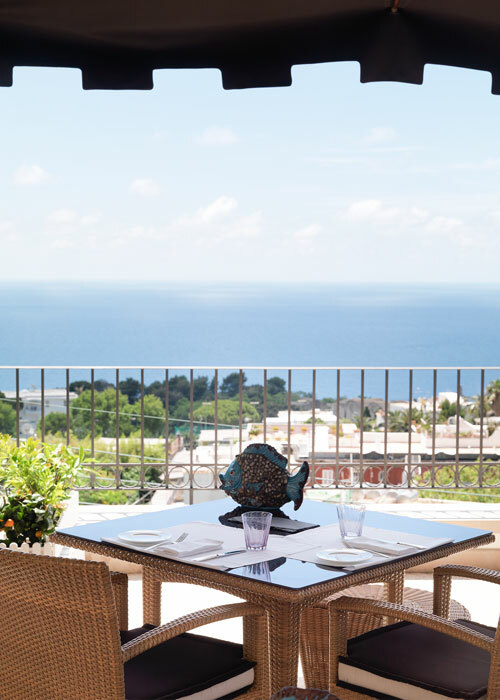 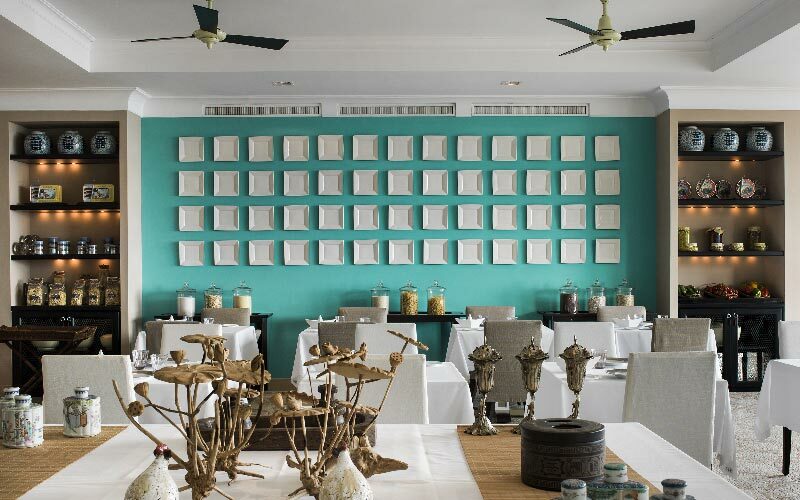 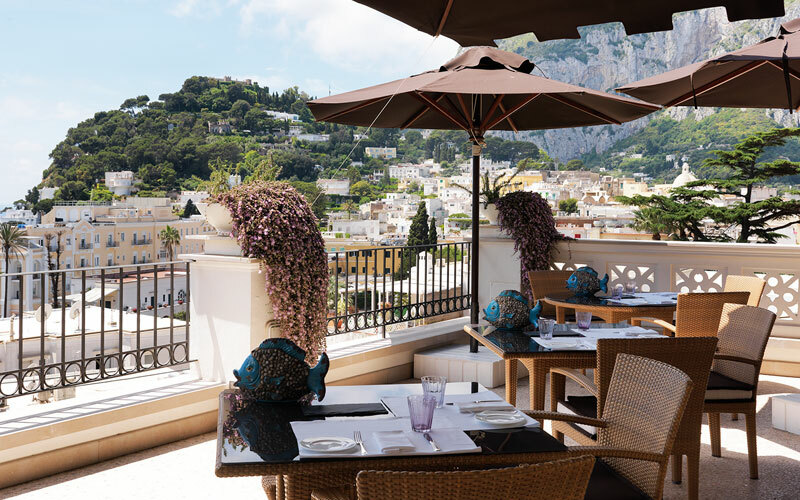 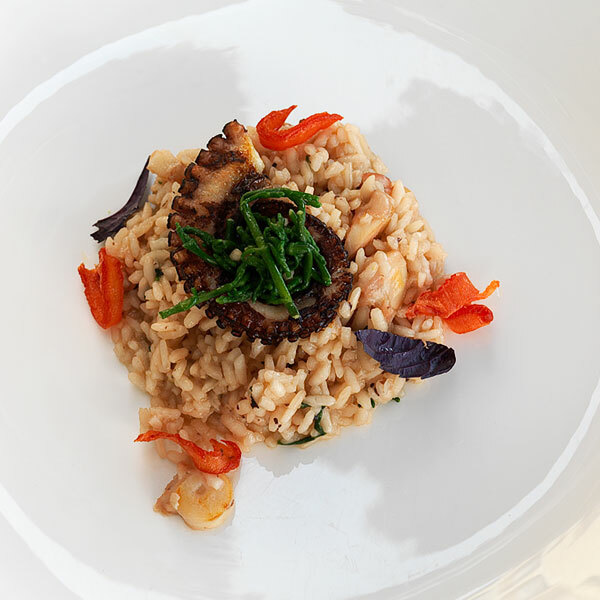 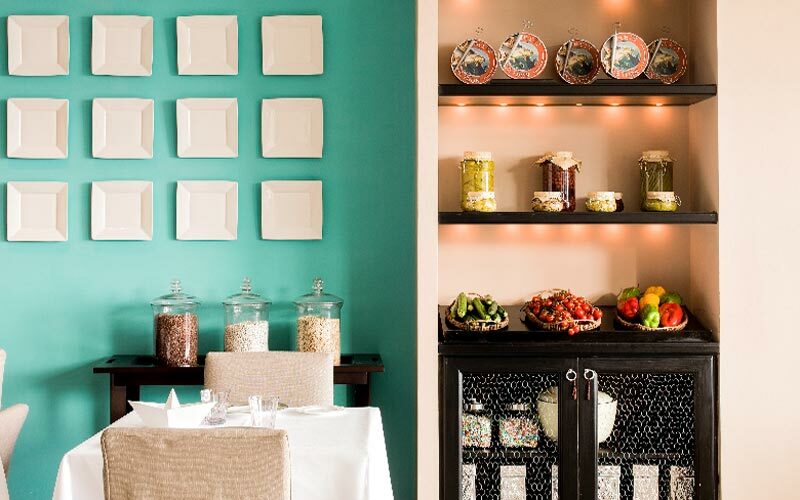 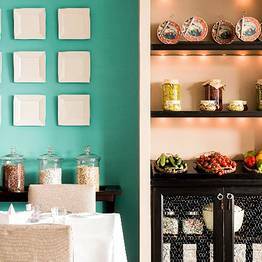 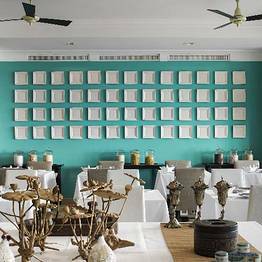 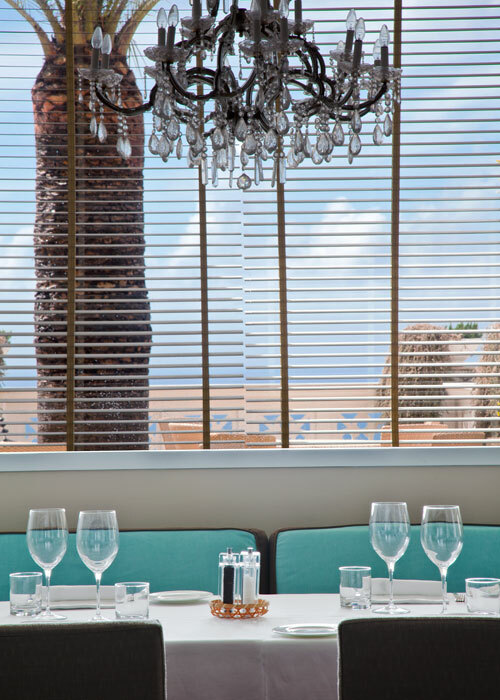 Ristorante Terrazza Tiberio combines gourmet dishes featuring traditional Mediterranean cuisine with the elegant atmosphere of Capri Tiberio Palace, one of the most reknowned hotels on Capri and located just steps from the famous Piazzetta. 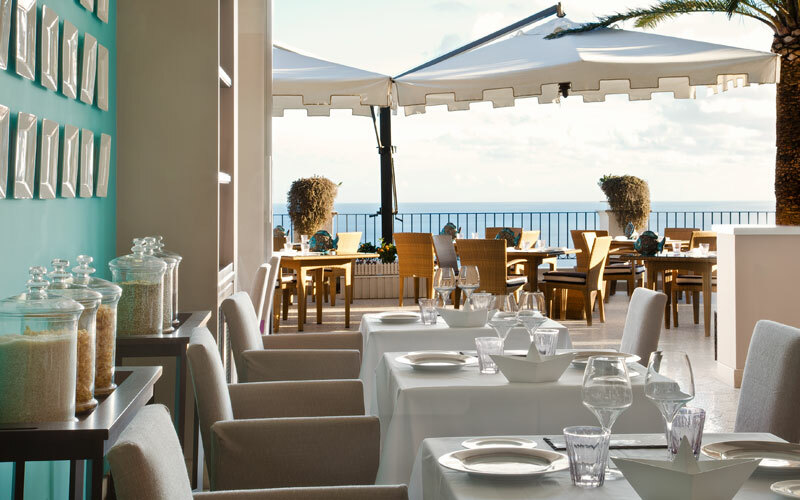 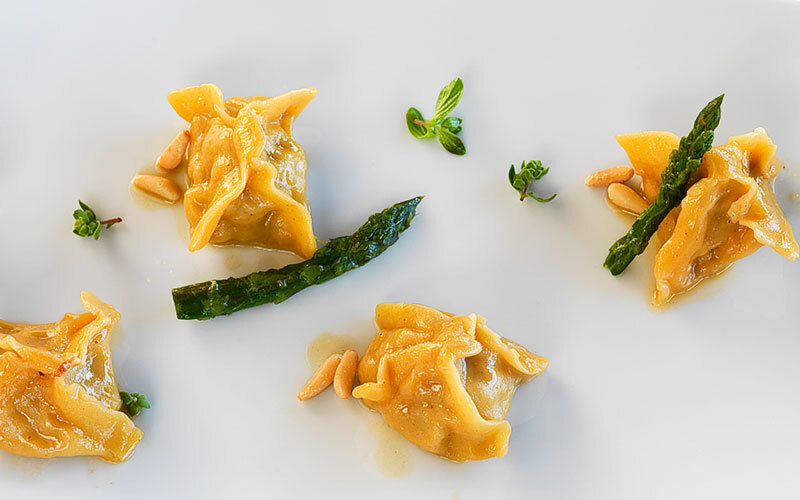 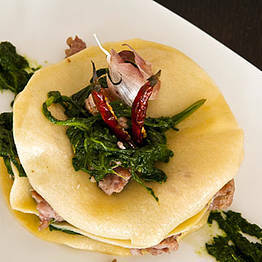 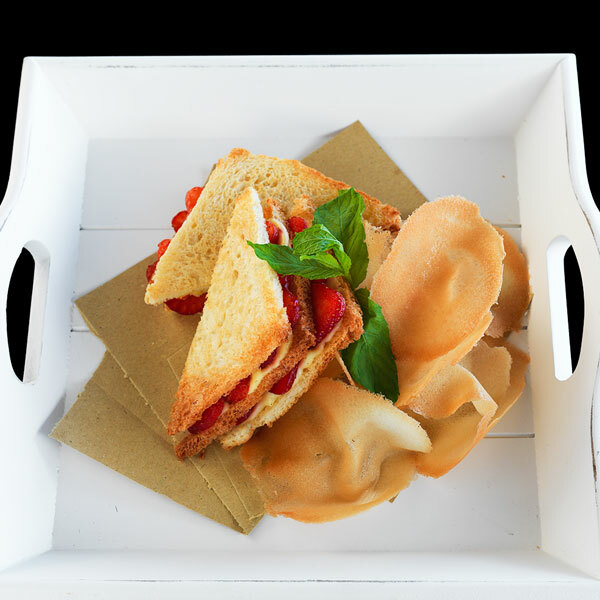 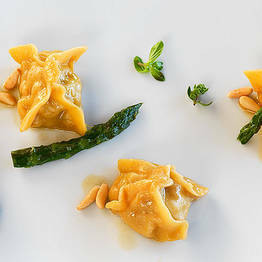 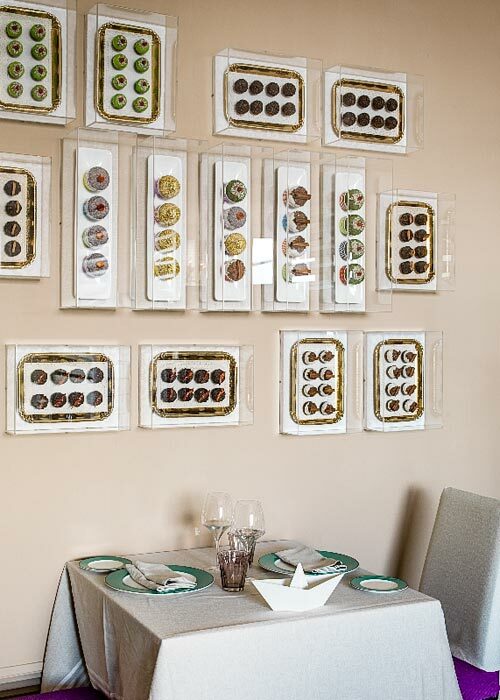 The menu at Terrazza Tiberio is stongly influenced by Mediterranean culture, with a focus on the quality of its fresh, seasonal ingredients and the skill of Chef Francesco de Simone. 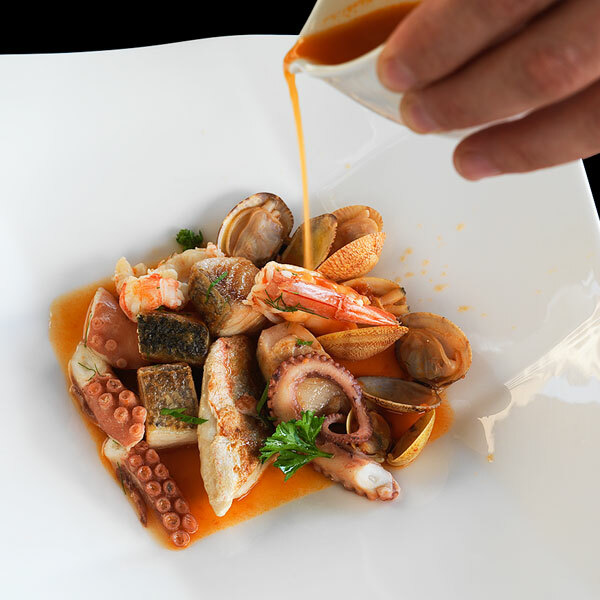 Particular attention is given to the extensive wine list, which includeds both local wines from the Campania region and from across Italy, all stored in the restaurant's exclusive cellar. 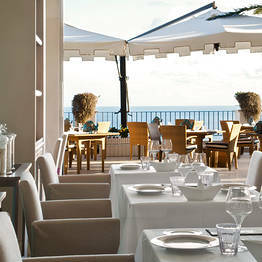 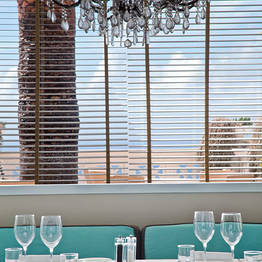 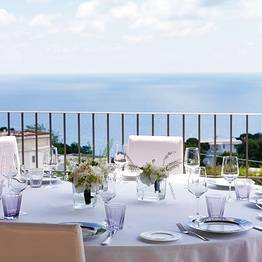 Terrazza Tiberio is the only restaurant on Capri with a separate Kosher kitchen, certified by the Orthodox Union. 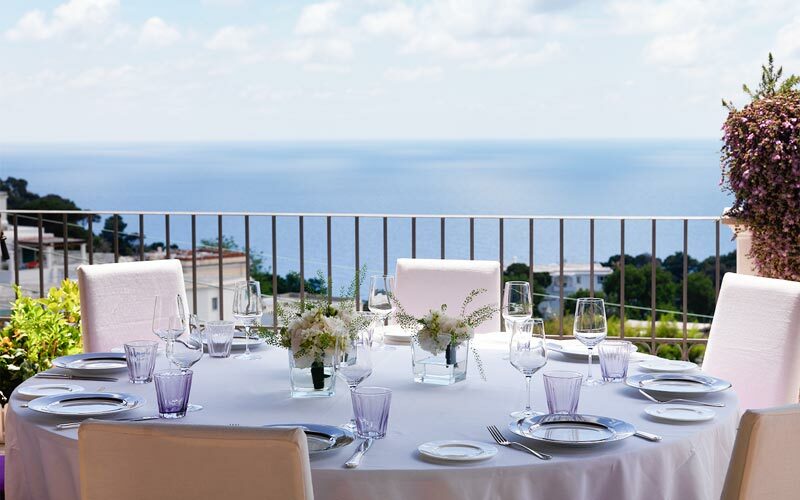 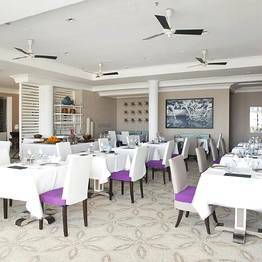 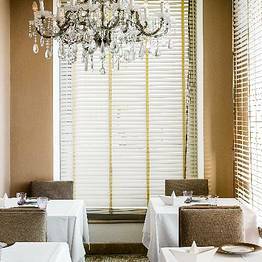 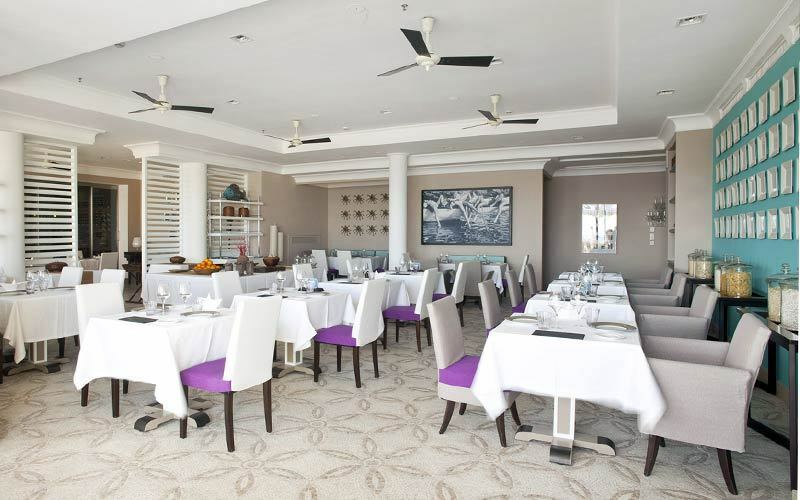 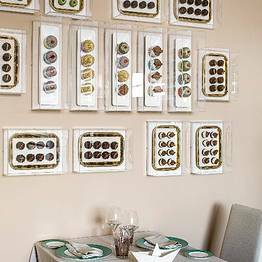 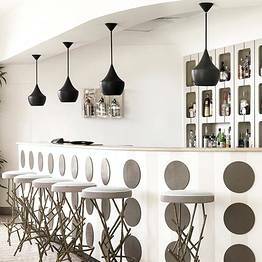 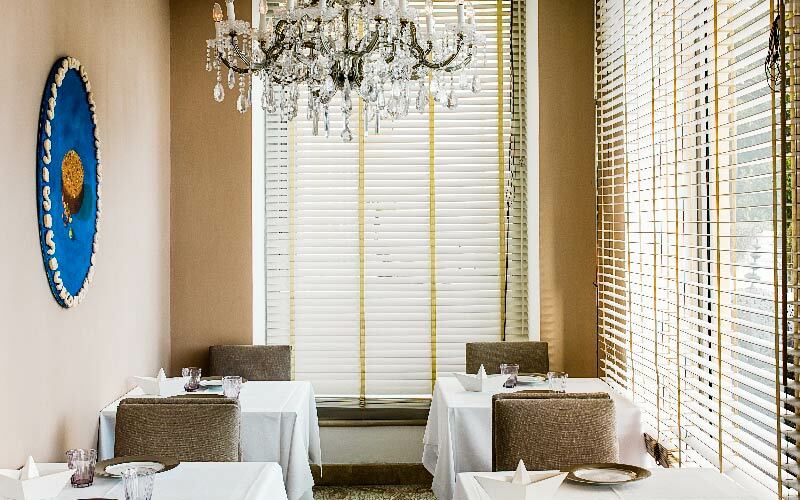 Terrazza Tiberio Restaurant has an elegant indoor hall, decorated in the refined contemporary style of the hotel Capri Tiberio Palace, and a scenic terrace overlooking the sea and the historic center of Capri, perfect for a romantic candlelight dinner for two. 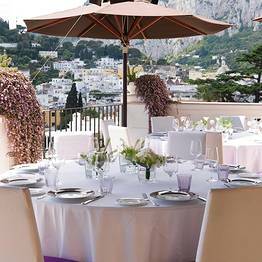 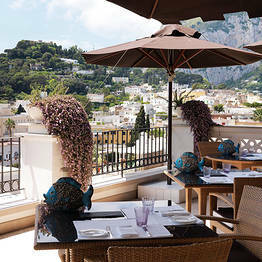 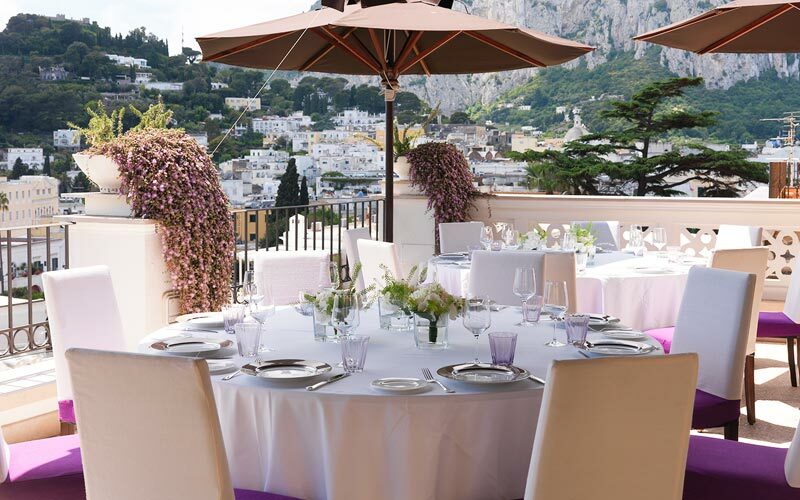 Terrazza Tiberio is the restaurant of the hotel Capri Tiberio Palace, one of the most prestigious 5 star hotels on the island of Capri. 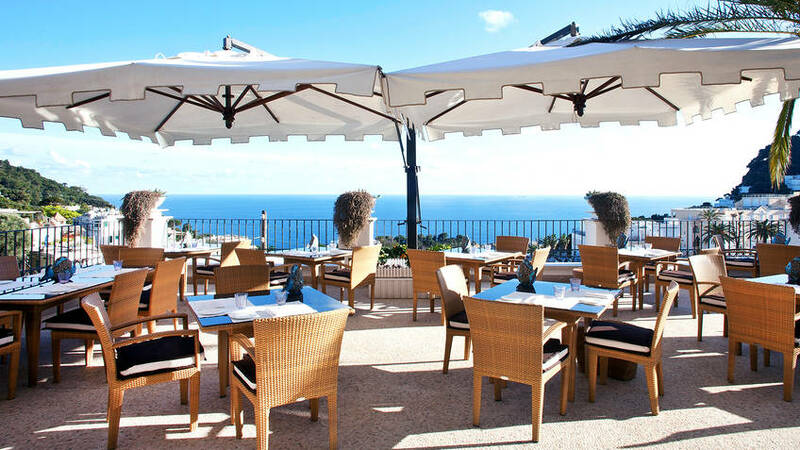 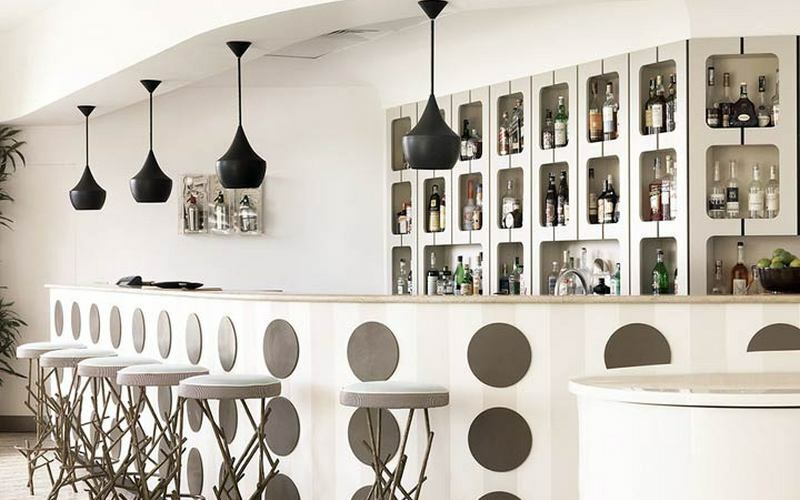 The restaurant is located just a few minutes away from Capri's legendary Piazzetta, the heart of the island's glamorous social life, and the elegant Via Camerelle.